Bright, Bold and Beautiful is how I roll when it comes to anything in my life. If you know my style by now then you know I love adding pops of color and black and white to everything! 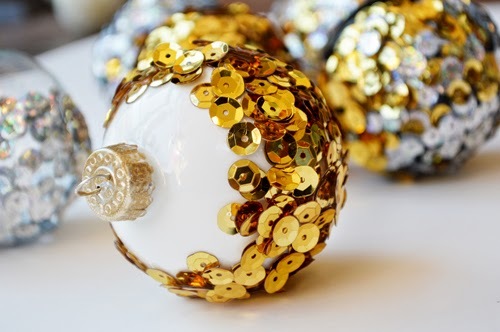 When I saw these beautiful sequins I just knew they had to make a quick appearance on my studio Christmas tree. Let's just say this, they have moved twice so far...now they are by themselves on some old branches I have in a vase and I think they like it better. 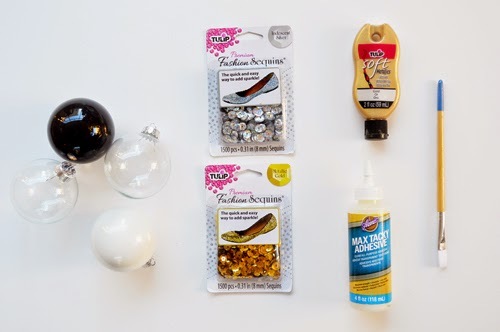 These ornaments are fun to make and anyone can do them. When the holidays are over you can box them up carefully and reuse them the next year! 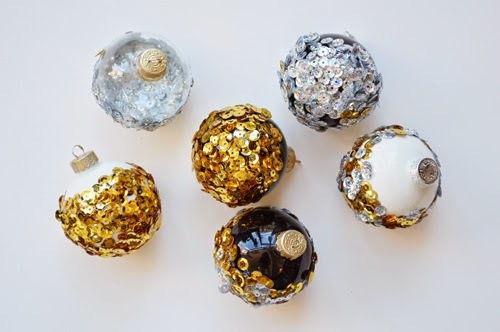 PERK: you will NEVER find ornaments like your's in any store! I used clear and opaque ornaments for this project. 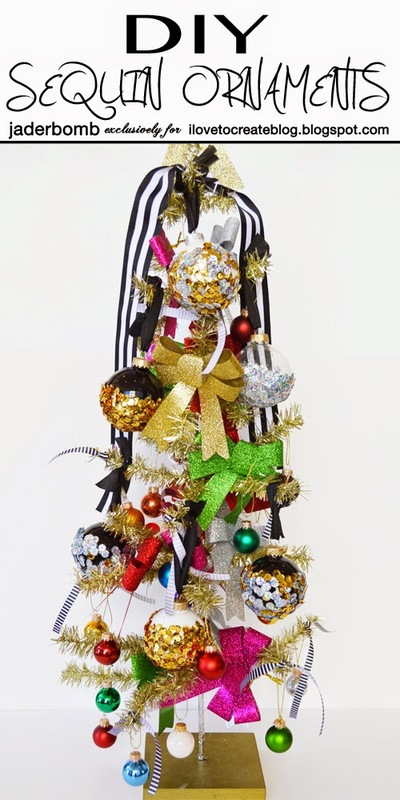 I think it's good to mix your ornaments up to create different looks on your Christmas tree. I am pretty much in love with these sequins. The Iridescent Silver is so pretty once you see them in person. 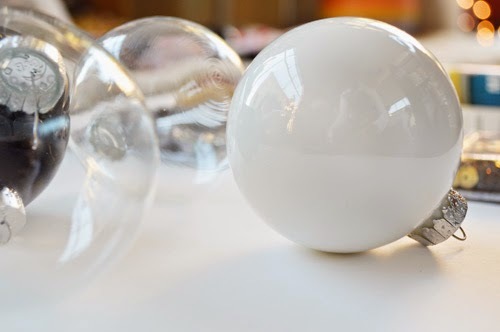 It's like mini mirror balls just sitting in your hand. You can use these on fabric too! I am sure everyone has that "ugly sweater" party coming up so grab some of these and have fun!!! 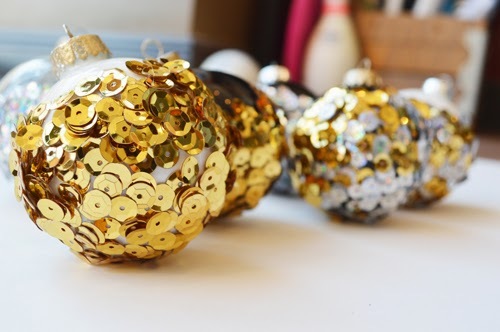 I took the tops off the ornaments and painted them gold to add a little shimmer. Let them dry and put 2-3 coats of paint on them. 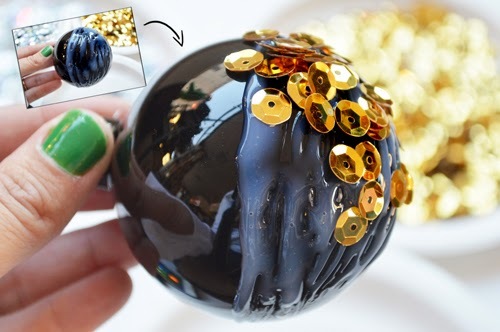 Grab your glue and squeeze some out on the bottom portion of the ornament. 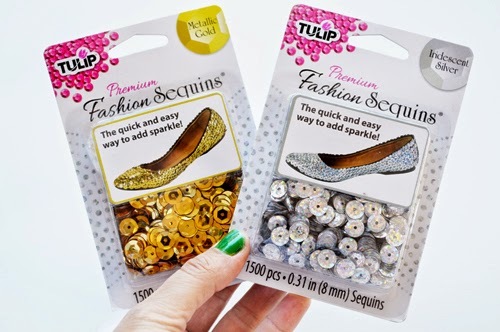 The key here is making it thick enough for the sequins to adhere to. Remember your glue will dry translucent. 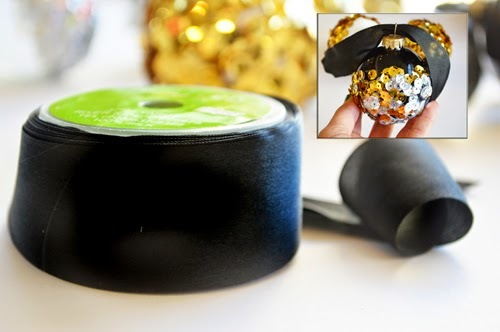 You can roll the ornament in the sequins or apply them by hand. 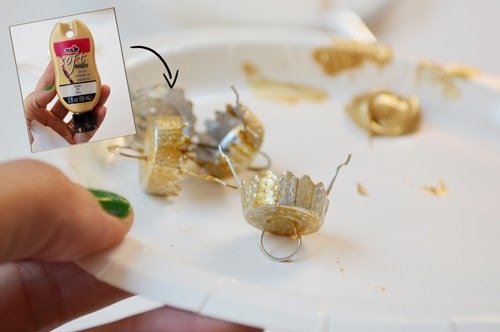 Lightly press them into the glue once they are on the ornament. 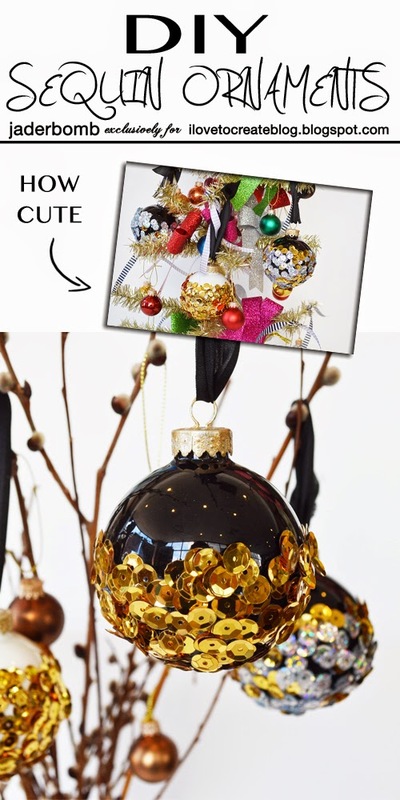 You can use an ornament hook or use silk ribbon. I like the look of ribbon! I love these ornaments! They are so pretty! I would be honored if you would link them up at our Found & Foraged Linky party tonight starting at 8PM CST over at www.thebigrevealblog.com if you were interested. Hope to see you there!